It is a good thing to be reminded of the Palestinian plight. It is all too easy to simply forget. Peacing Stories does such a good job in bringing us a realistic picture. 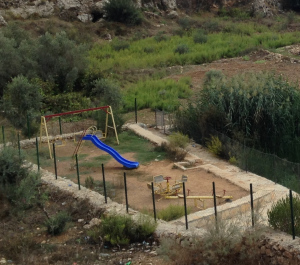 A children’s playground as shown in this story is such a sad reminder of what is taking place. It is sad…very sad.